In other news, today is the 50th birthday of Canada's Maple Leaf flag. In celebration, Struan participated with the Lieutenant-Governer of Ontario's project to make a human Canadian Flag with over 2,000 people. Here's a link to the photo (the file is huge and you'll see why - you can zoom in on everyone's face!). Can you find Struan? He's right in the middle, arms crossed, behind a guy with two thumbs up. 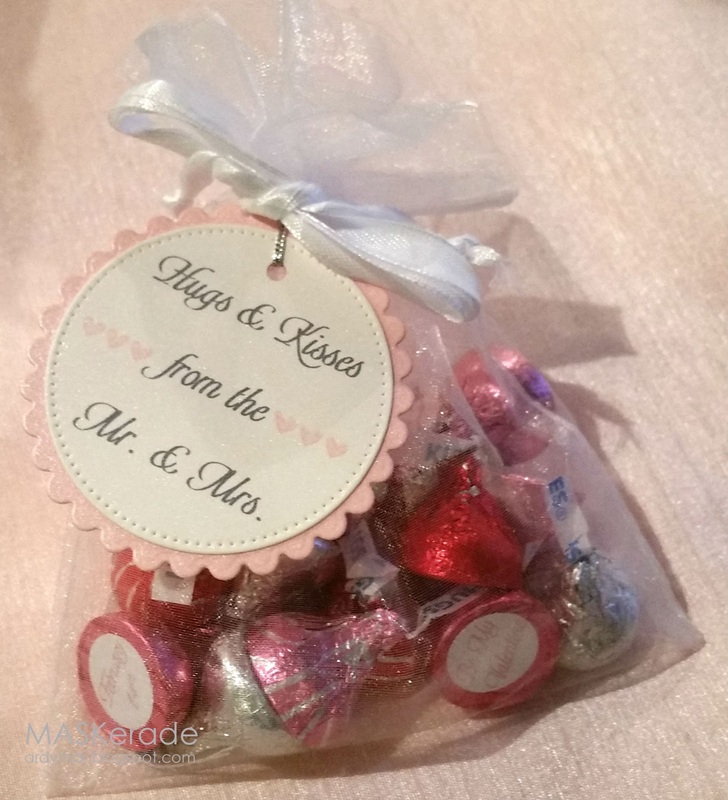 Love these little toppers and tags, they're stunning! The colors are so sweet and the font you used for their names is just so elegant! Best wishes to the bride and groom! OH....this is just so sweet. 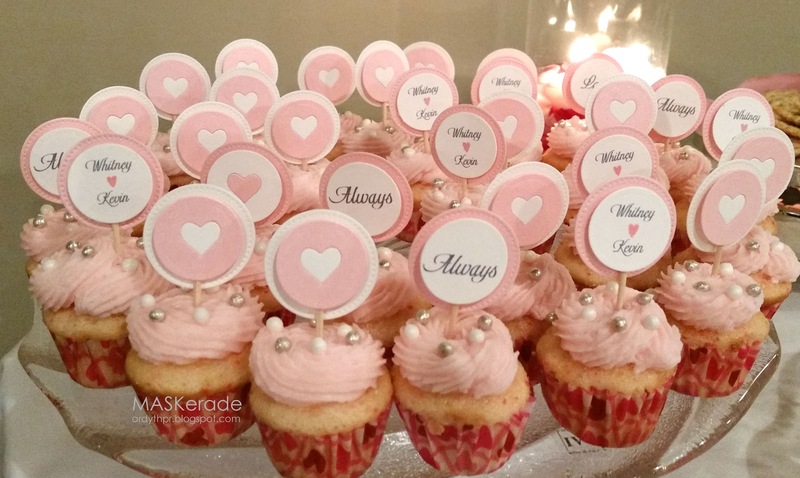 I love cupcakes your toppers are so perfect. Love the hugs and kisses, adorable. Soft and pretty, so perfect for a Valentine wedding! Hope you had a lovely time at the wedding! DS must have been thrilled with your sweet embellies! The cupcakes & kisses look sooooo yummy! Awesome job Ardyth. Yes - I found Struan. Kind of like "Find Waldo" but with a better picture. So cool to be part of something like this! All of these elements that you made for your sisters wedding are beautiful. Great colours and theme. What beautiful treats Ardyth! I found Struan - what an exciting event! Wow I am impressed and you still have time to create cards. mmmmmhhhh - they look so yummy - I am getting hungry! 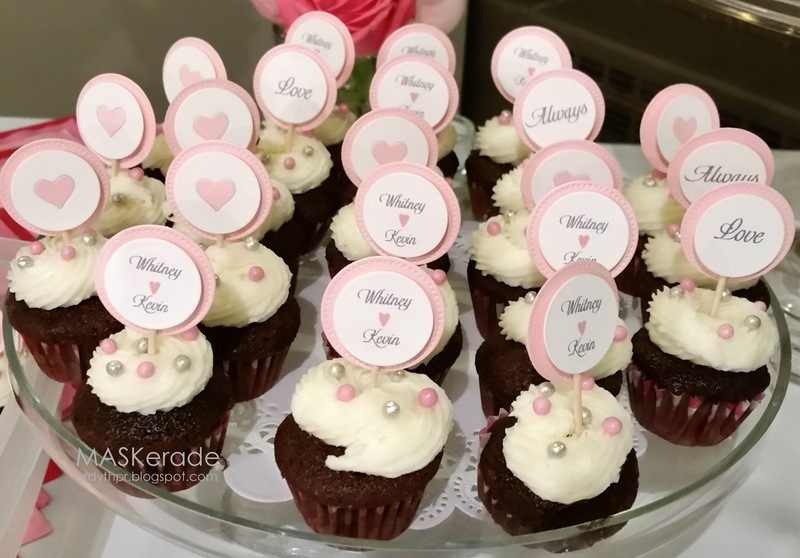 Love the cute toppers and those cupcakes look scrumptious! If I had to put these together I'd end up with a lot of left over toppers at the end... And that flag picture is awesome! Love tht you can zoom in on everyone!